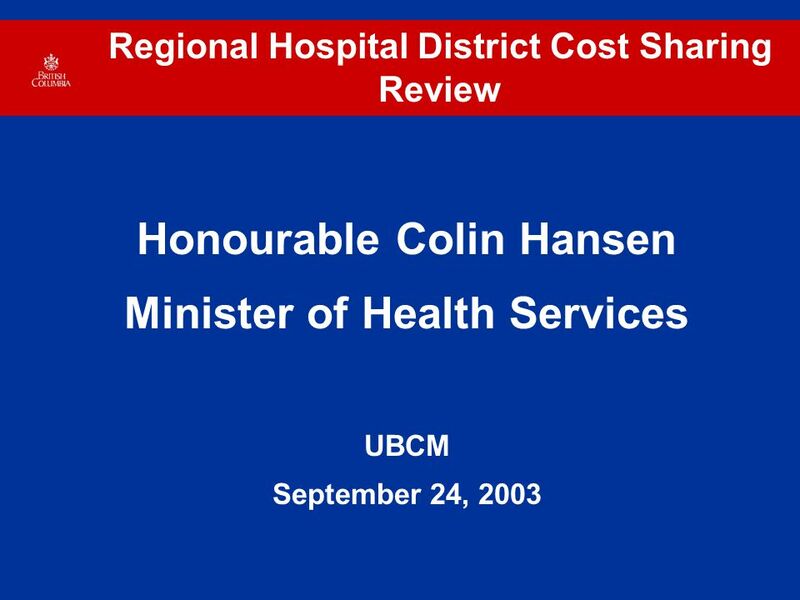 Regional Hospital District Cost Sharing Review Honourable Colin Hansen Minister of Health Services UBCM September 24, 2003. 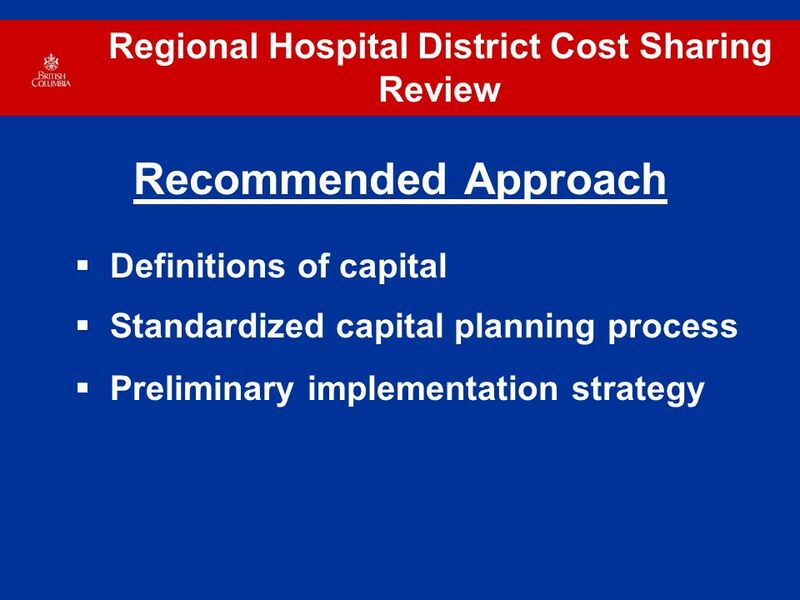 2 Regional Hospital District Cost Sharing Review What is the appropriate role for RHDs in capital planning and contribution decisions? What is required to implement the appropriate role? 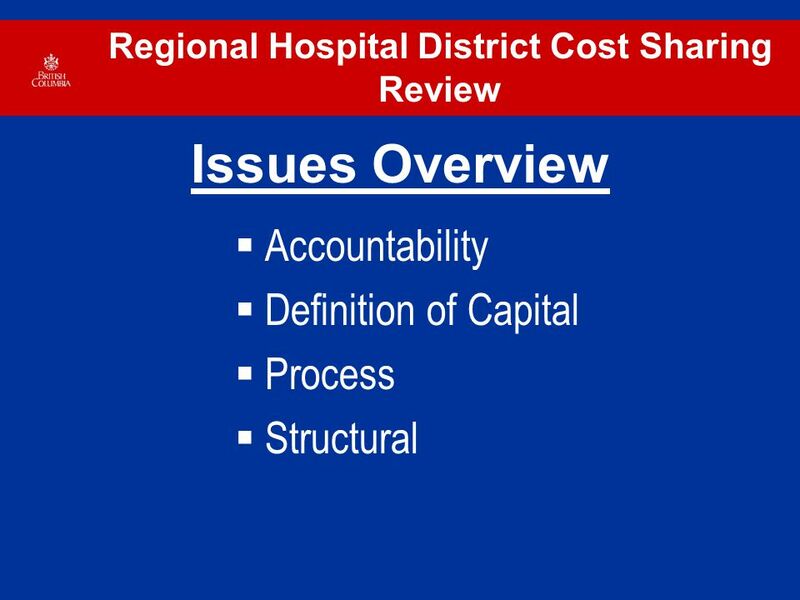 What is required to simplify the processes and address the concerns? 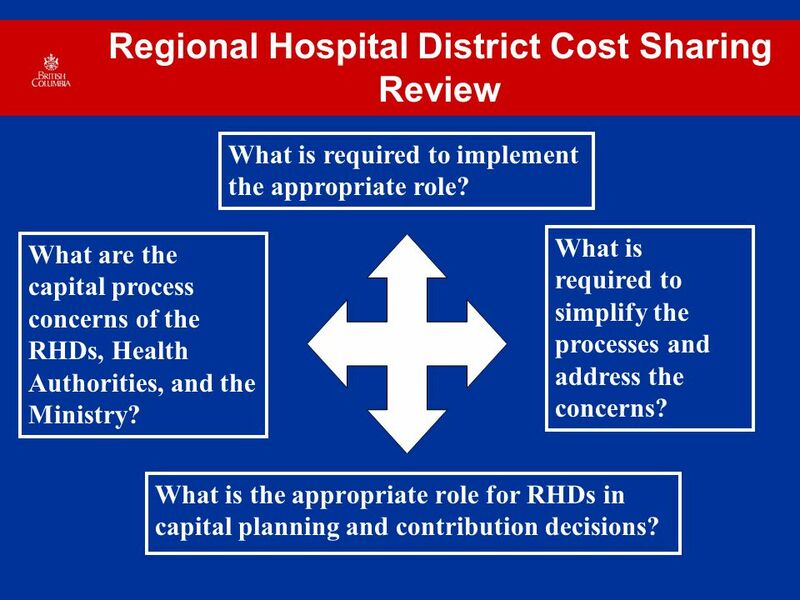 What are the capital process concerns of the RHDs, Health Authorities, and the Ministry? 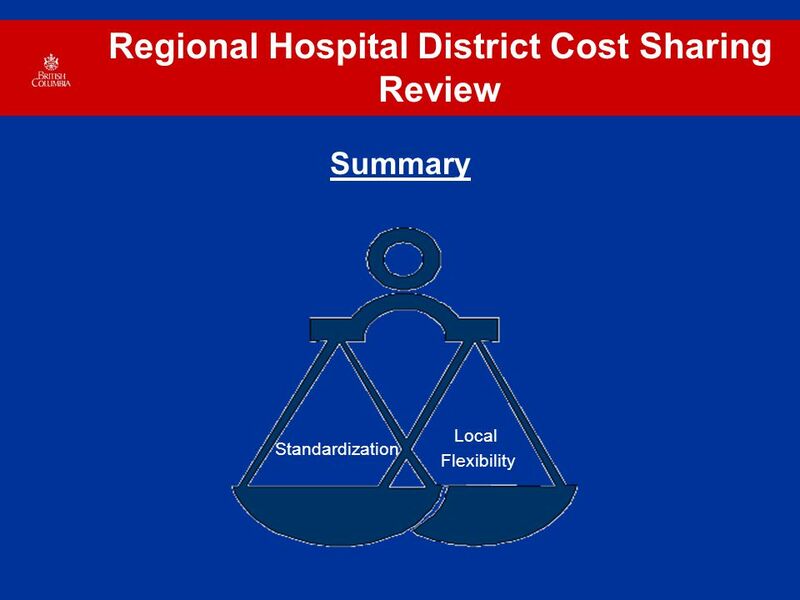 Download ppt "Regional Hospital District Cost Sharing Review Honourable Colin Hansen Minister of Health Services UBCM September 24, 2003." KENYA HEALTH SECTOR PARTNERSHIP Third IHP+ Country Health Sector Teams Meeting Brussels, December 2010. Commission européenne The European Social Fund Investing in your Future. Evaluation Plan in Hungary Dr. Tamás Tétényi Head of Department for Strategy and Evaluation National Development Agency. 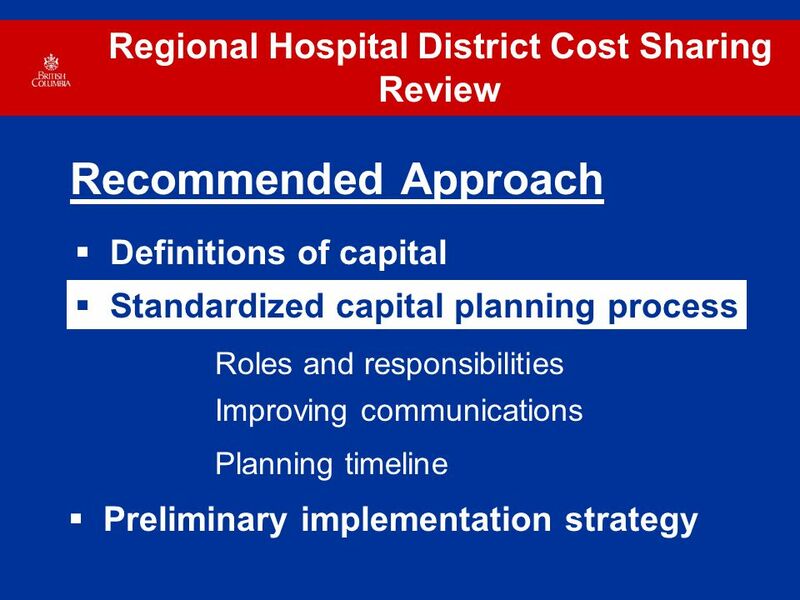 Role of the DEC Elected/appointed for a four year term Develop and monitor the District Improvement Plan Review and make public District performance reports. Rossmore Secondary Plan Presentation to Council July 16, 2014. Ville de / Town of Beaumont Ville de / Town of Beaumont Johm Riab Sua Local Economic Development – Strategic Planning. 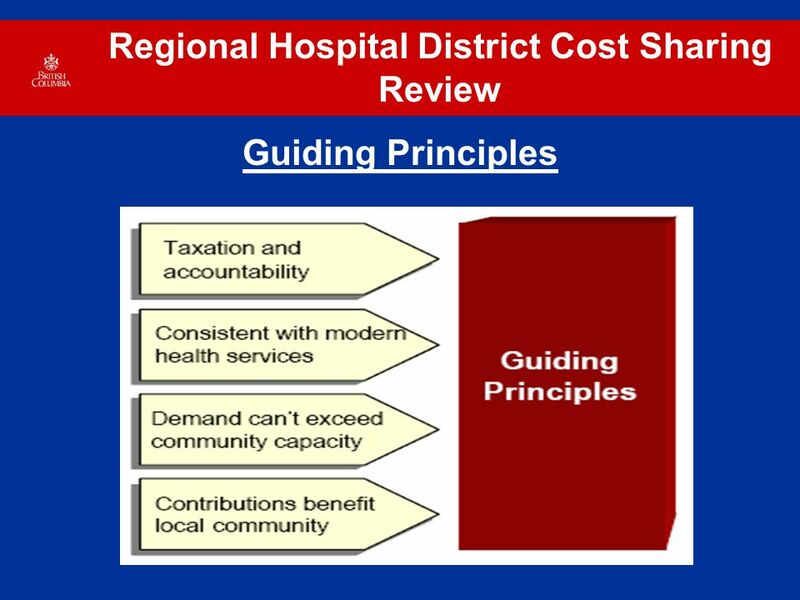 Health and social care integration - update Accounts CommissionMarch 2014. 2025 Planning Contacts Meeting November 8, 2012 K-State 2025.
Corrections System Master Plan PRELIMINARY CAPITAL PLAN SUMMARY SEPTEMBER 5, 2007 CARTER GOBLE LEE In association with CH2M HILL. Treasury Board Ministry 1 Government Controllership Challenges in Alberta’s Hot Economy September 13, 2007. 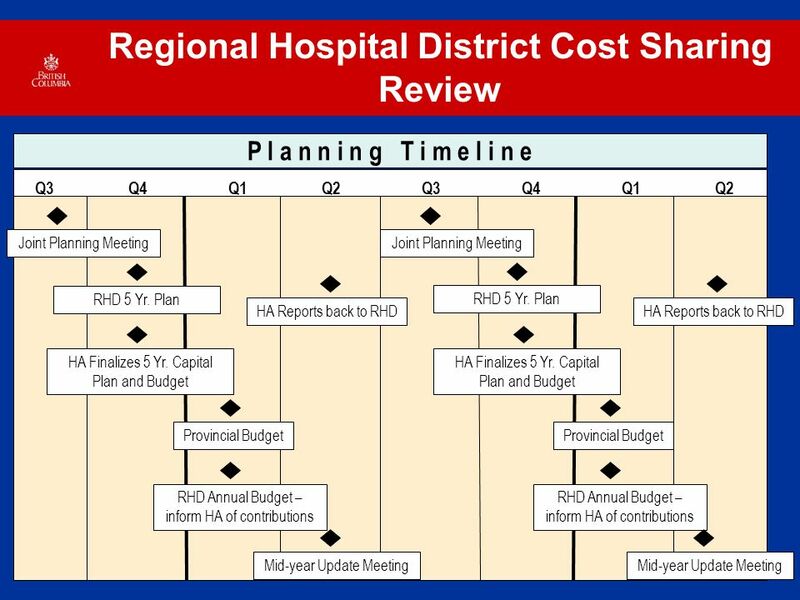 2013 BUDGET General Fund Revenues$84,870,998 Expenditures Divisional 69,635,424 Non-Divisional 5,695,509 Transfers 9,540,065 84,870,998 $ Nil * Capital$14,788,522. LAO PDR FINAL PRESENTATION Ms. Khonesavanh voralath Ms. Thirakha Chanyhalanouvong Ms. Kathleen Vosen. 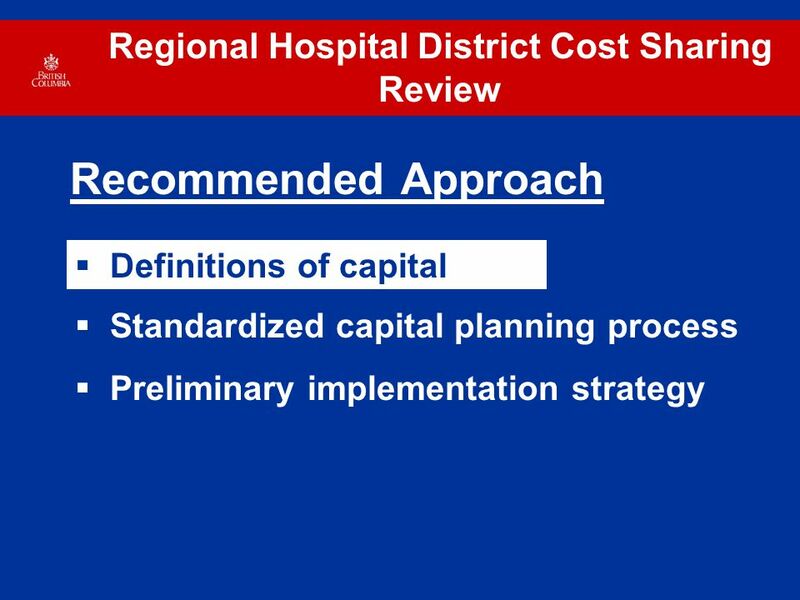 Manager Orientation Budgeting & Forecasting. 2 UFundamentals Today’s Agenda New Budget Model Principles Overview of budgeting and forecasting Timelines. 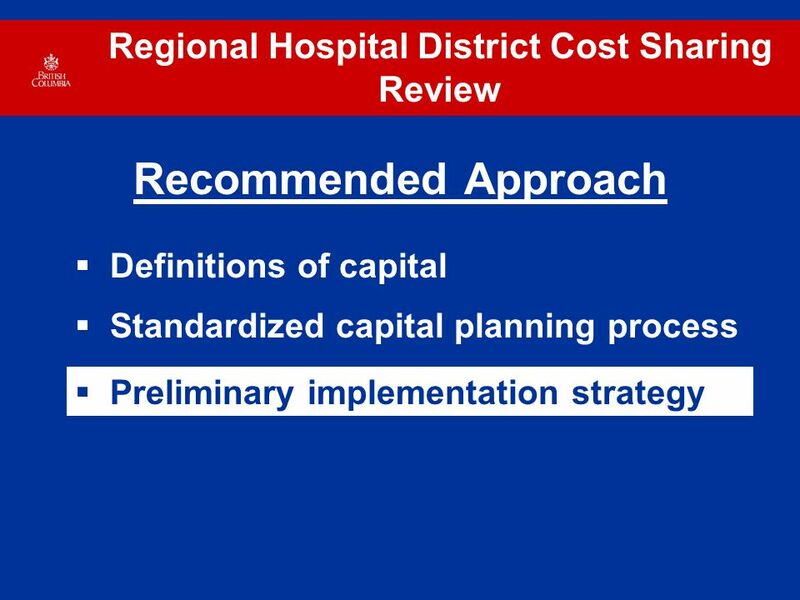 Joint Strategic Needs Assessment - getting it right! Joint Strategic Commissioning – Analysis Event 8 October 2014 Tony Homer JIT Lead, Joint Strategic. 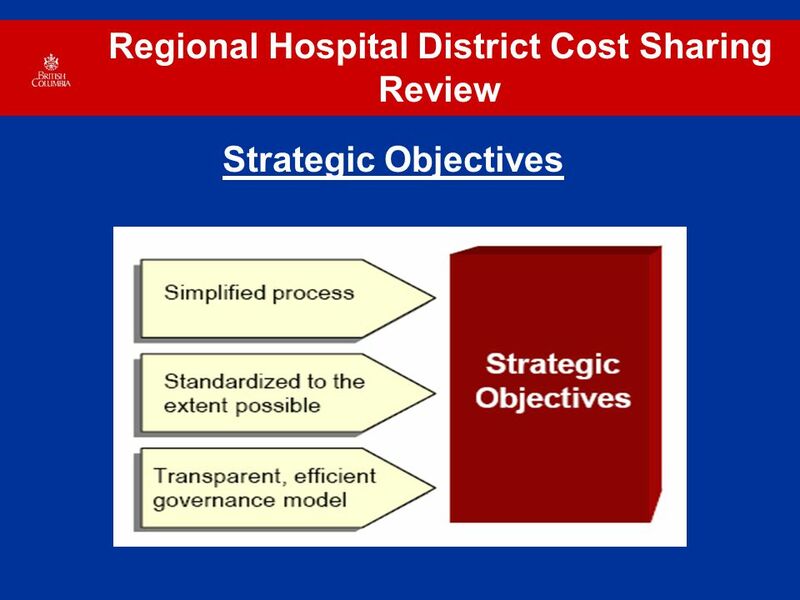 Objectives Overview of key issues with regard to delivery Current capabilities Key assumptions about staffing moving forward Key roles and responsibilities. 5 Year Silviculture Plan Development Process Presented by Kevin Telfer R.P.Bio., R.P.F. Stewardship Forester Coast Region. NATIONAL STRATEGIC PLAN: SOME NOTES ON PRIORITISATION AND DRAFTING PROCESS STATISTICS INDONESIA Titi Kanti Lestari BPS-Statistics Indonesia High Level. 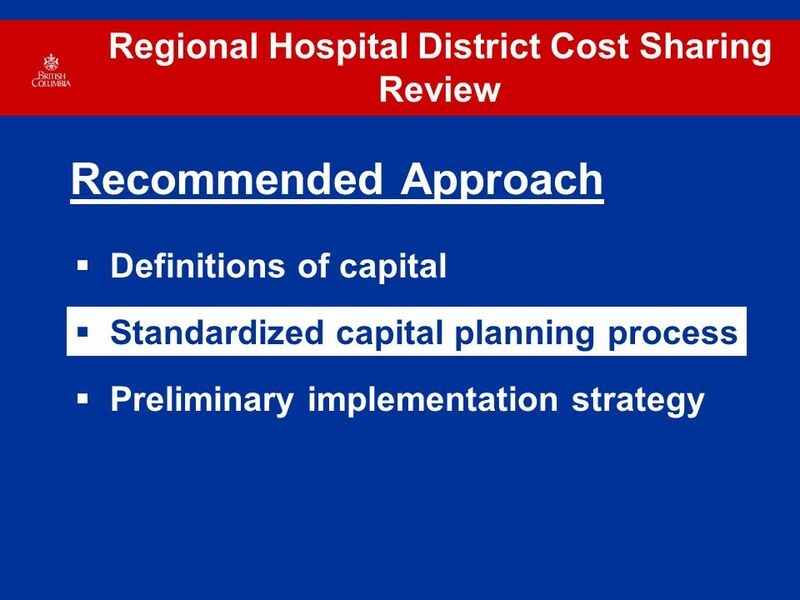 1 PROPOSAL FOR PROCEDURES AND SCOPE OF SHA DATA COLLECTION UNDER THE CO-OPERATION BETWEEN OECD, EUROSTAT AND WHO 7 th Meeting of Health Accounts Experts. National Economic Accounts: What’s New and What’s Coming Carol E. Moylan National Economic Accounts Data Users’ Conference October 15, 2007.